Truven Health Analytics, a healthcare data company, moved to a new building to create a new home for 600+ employees. Being a leader in the health analytics industry, Truven wanted their space to be beneficial to the health and wellness of their employees. 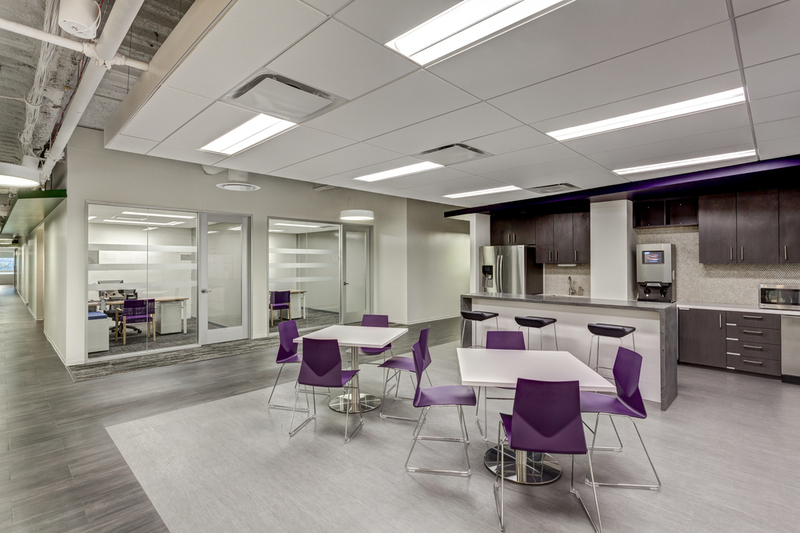 Their focus was on an open environment with natural lighting, privacy for meetings, collaboration areas, and comfortable, ergonomic stations for all employees.